I’m a diabetic that struggles all the time with making the right choices for my diet. I still have a weakness for sweets but try to limit that to less than a few times a week. I look for areas to cut sugar out of my diet and use stevia sweetener when it comes to my coffee or iced tea. I recently launched my 10th Udemy course “Paleo For The Holidays: Entertain With Healthy Paleo Recipes“. My friend and Yum So Fresh partner Cheryl Richard instructs the course showing off her healthy Paleo recipe creations as I filmed and edited the course. Below I’ve complied a list of 5 Paleo cooking courses you can take on Udemy.com. Don’t wait to enroll because many of these are on sale through Black Friday. 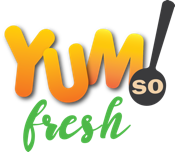 Delight Your Holiday Guest With Delicious Healthy Natural Paleo Recipes For The Holiday Season From Yum So Fresh! The basics of getting started with the paleo diet and lifestyle strategies to help you lose body fat and get lean.